The day did not start out great as Daddy's leave was not approved. 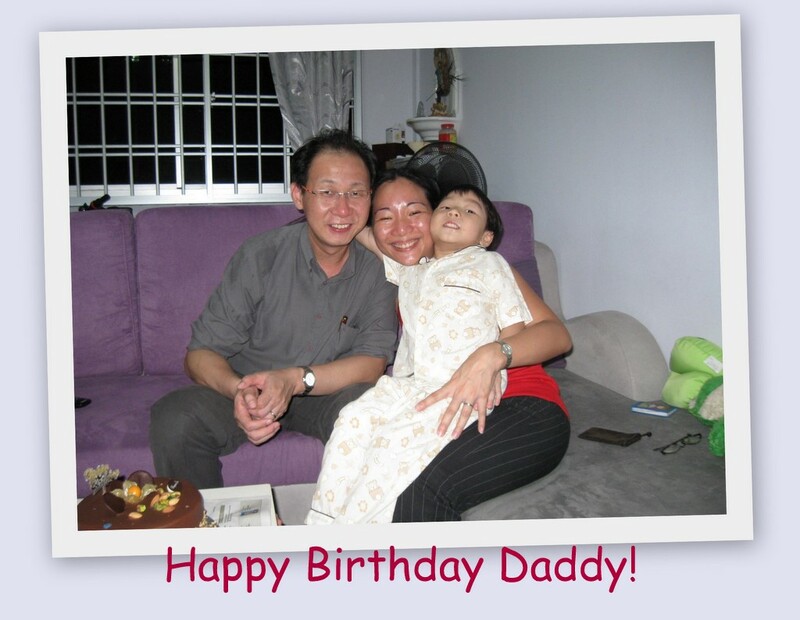 By a stroke of luck (or miracle), Daddy managed to take the afternoon off to celebrate his special day. 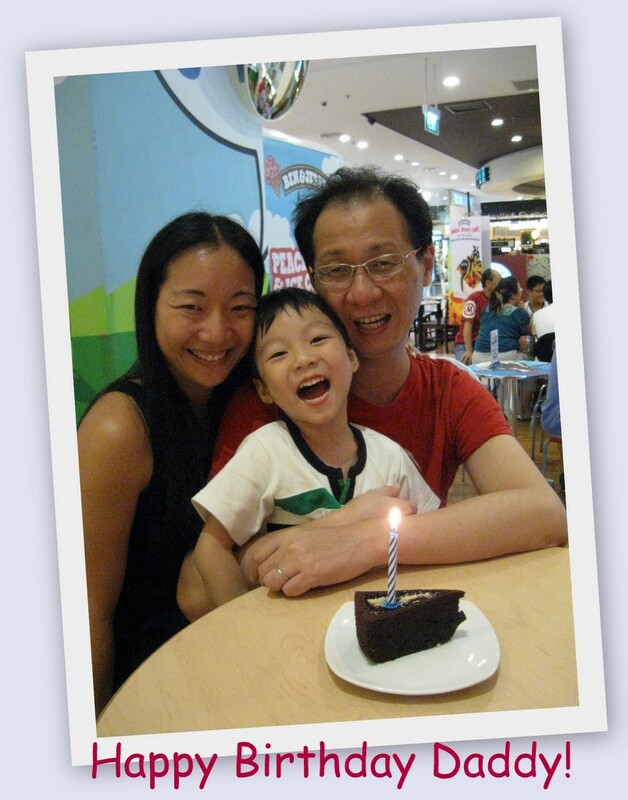 We started with lunch @ Holland Village. It's been quite a while since we last went to Holland Village. Those were in our poly days where we used to hang around that place for drinks or food. 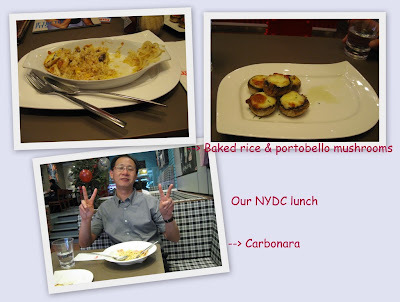 We walked to a few restaurants but in the end, we decided on NYDC. Actually the food was simply so-so, but the ambience more than made up for it. Dinner was at Ding Tai Fung (Bishan Junction 8). This time the food is much, much better. Delicious. 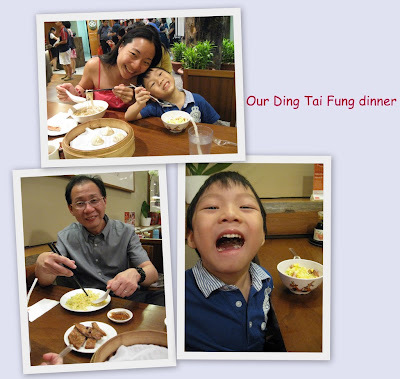 Baby G even slurped the xiao long bao's juice and ate it entirely. Prior to Daddy's actual birthday, both sides of the family also celebrated his birthday on different days. 1st celebration was with his family. We had fish steamboat dinner @ Delta Industrial area. Service so-so, food overall ok. Although I liked the chicken dish. 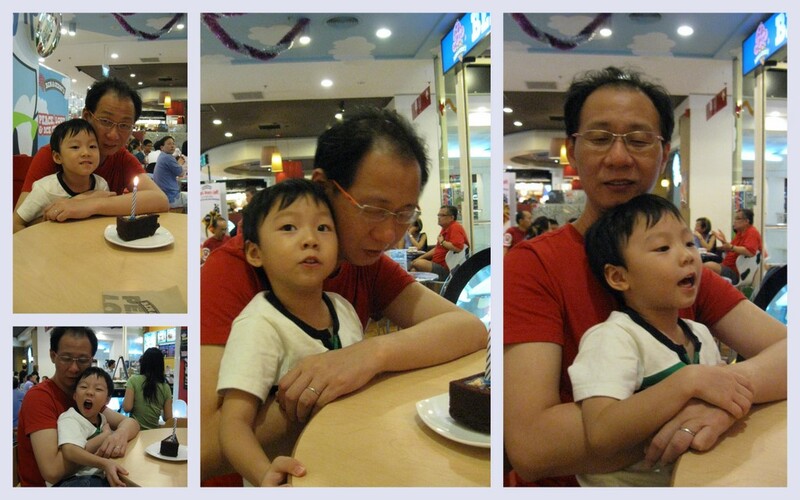 After dinner, we went to Great World City for desserts. Ben & Jerrys was the choice & a treat from GuGu. 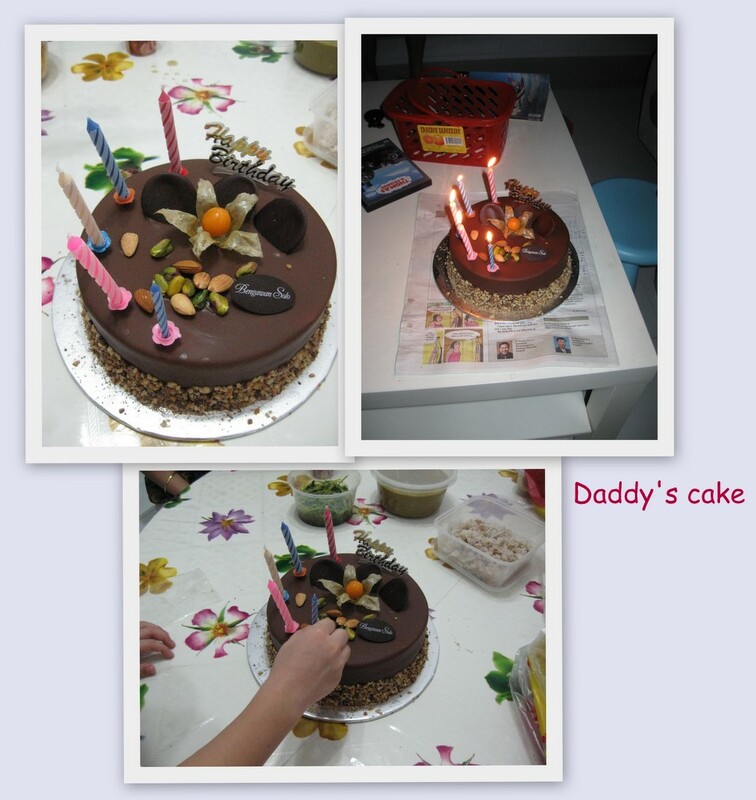 2nd celebration was with my family. Dinner was a simple affair. But I bought a cake to celebrate. Baby G commented that Daddy was 2 years old because he had '2' birthday cakes (1 here and 1 at Ben & Jerrys). Daddy had 2 presents from my parents which Baby G helped him to open. 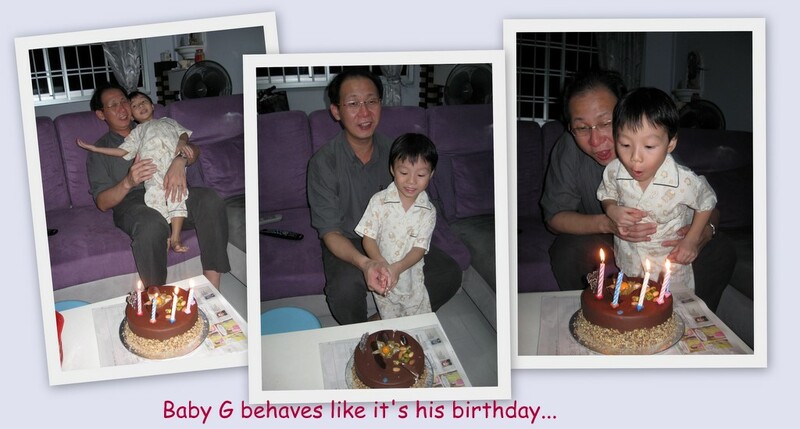 It seemed like it was Baby G's birthday instead.